WardManager is a collaborative patient handoff and mobile task management tool, integrated with your EHR and secure messaging. 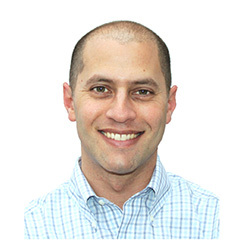 WardManager was founded by Daniel Rosenthal, MD MSc MPH, a Clinical Assistant Professor in Internal Medicine at GW. After completing a medical informatics fellowship at Massachusetts General Hospital and MIT and receiving an MPH in clinical effectiveness at Harvard, he recognized the need for improved patient transitions between residents. Dr. Rosenthal wondered why EHRs neglected handoffs, and shortly thereafter, WardManager launched. WardManager set the standard and continues to lead the handoff industry with cutting-edge functions ahead of EHRs and competitors. No EHR offers this level of mobile team communication, real-time task management and accountability. Over the past decade, WardManager has powered over a million handoffs, reduced events by nearly half and doubled resident confidence. Cost reductions are $70,000 for every 1000 admissions; the number needed to treat to prevent 1 adverse event is 71 patients. WardManager is accessible from any device and is securely synced in the cloud with real-time labs, demographics, and meds from Epic, Cerner, MEDITECH, McKesson, GE, Siemens, Allscripts, etc. to keep teams up-to-date. WardManager meets the ACGME's Next Accreditation System handoff standards and provides out-of-the-box reports for case counts and handoff compliance. Clinical leaders have presented WardManager ACP, ACGME and APDIM national conferences and is the only commerically available handoff tool that has been validated in a peer-reviewed, controlled trial.